e[X]periences | Events • Food • Tech • Travel: Yuna and Samsung - "The Sparkle Project"
Yuna and Samsung - "The Sparkle Project"
A short sharing on this latest collaboration by Yuna and Samsung. 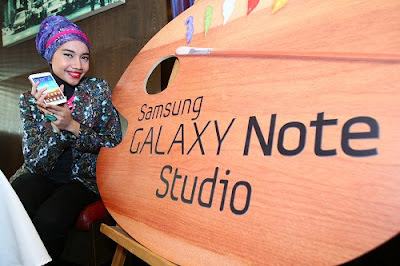 Aptly named "The Sparkle Project", this would be the first music video in Malaysia to be made entirely on a Samsung GALAXY Note. That's pretty cool stuff if you were to ask me. The Sparkle Project is a co-creation project where fans of Yuna and the public can submit their creative ideas and suggestions for the music video at The Sparkle Project’s digital space. Selected entries will be creatively-interpreted and featured in Yuna’s “Sparkle” music video. Check out some videos from Youtube as below of Yuna telling us more about this new collaboration project.